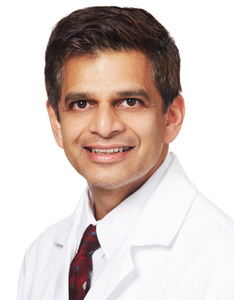 Parag Kale, MD, FACC is board certified by the American Board of Internal Medicine, in Cardiovascular Disease, Advanced Heart Failure and Transplant Cardiology as well as in Internal Medicine. His professional interests include clinical research and teaching. He has participated in numerous clinical research trials, presented posters at scientific conferences, and has published his work in nationally recognized peer reviewed medical journals. He was appointed Assistant Professor of Medicine at Case Western Reserve University in Cleveland Ohio from 2002 to 2008 and Affiliated Assistant Professor of Medicine at Stanford University School of Medicine from 2009 to August 2014. Dr. Kale is on the medical staff at Baylor University Medical Center and Baylor Heart and Vascular Hospital in Dallas. He is also on staff at Baylor Heart and Vascular Institute promoting cardiovascular research and education. Read More About Parag Kale, M.D., F.A.C.C.